You all deserve to receive quality dental treatment in a comfortable, modern facility with advanced technology. The updating and upgrading of our dental treatment rooms will enhance our ability to provide you with the high level of excellence and care that we pride ourselves in. 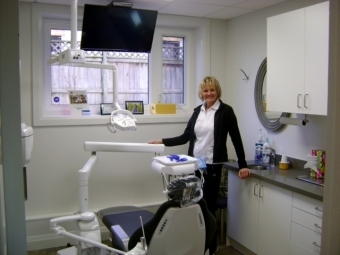 Here is a sneak peak at the Lorne Park Dental Associates renovations. Our dental hygienist, Jenny is thrilled with the results in her treatment room and is anxious to show you the next time you visit. Be sure to stay tuned for more photos and to follow our Mississauga dental office makeover progress at Lorne Park Dental!